Beat the winter blues with a January 2021 Florida holiday. Mild sunshine and high blue skies are just what you need after a hectic Christmas season. Begin your holiday with a week in Orlando, the theme park capital of the world. Then head west for a week at St. Pete’s and the Gulf Coast’s beautiful shoreline. This January 2021 Orlando holiday is based on a party of 6 adults. The price includes flights with Virgin Atlantic, fully-insured car hire and accommodation. If you have different requirements, let us know – we can put together the perfect Florida package for you. This January 2021 Florida holiday includes Virgin flights from Gatwick or Manchester. Virgin have an excellent reputation, and deservedly so. Online check in saves time at the airport. The bag drop desk is well-staffed and efficient. Once onboard, the crew ensure passengers are well looked after. Children receive a backpack of goodies and all seats have an entertainment screen. It really is the perfect way to start your holiday. If you'd like to fly from your local airport, let us know. We book connecting flights for a supplement. Isle of Man, Jersey, Belfast, Glasgow, Aberdeen, Inverness, Edinburgh, Newquay and Exeter all have convenient schedules. They connect with the Virgin network so your luggage is checked through to Orlando. Read our January 2021 flights page for useful tips on the most economical dates and routes. January is an excellent time to visit Orlando. Children are back at school so theme park queues are shorter than any other time of year. The weather is very pleasant, with average temperatures of 15C/59F and highs of around 21C/71F. 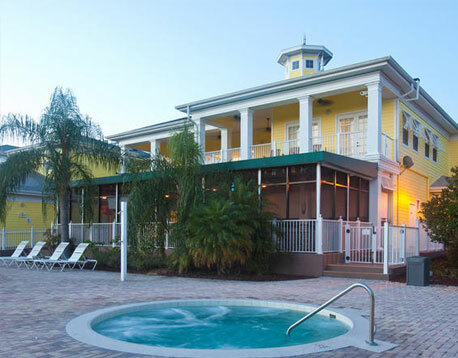 This January 2021 Florida holiday includes a week at Bahama Bay Resort on the banks of Lake Davenport. Set in over 70 acres of landscaped gardens, the Caribbean-style resort has excellent facilities including pool, spa, restaurant, fitness centre, games arcade, tennis, basketball and volleyball courts. 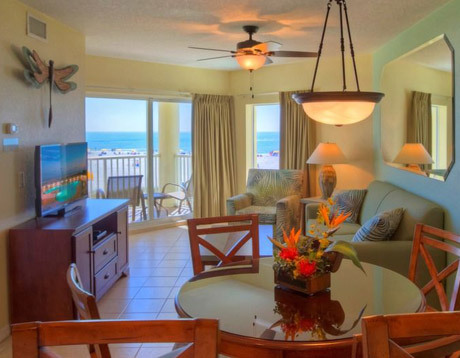 The apartments are well equipped with air-conditioning, cable TV and Wi-Fi. Kitchens include a dishwasher, fridge, cooker, microwave and washing machine. Bahama Bay Resort is popular with holidaymakers, but don’t just take our word for it. Check out the comments on TripAdvisor. Over 2000 reviews average at 4 stars. 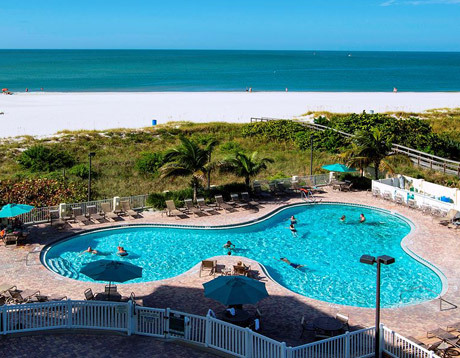 The popular tourist destination of St. Pete’s is a 2-hour drive from Orlando. The city itself offers a range of attractions – including Busch Gardens, an African-themed park. But the main appeal is the beautiful gulf coastline – miles of white sandy beaches, clear blue waters and exotic wildlife. There’s plenty of excellent accommodation along the Gulf Coast. 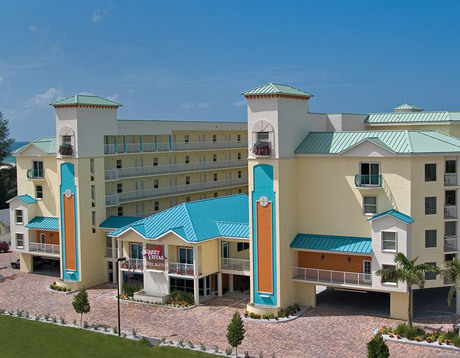 This January 2021 Florida holiday includes a week at the Sunset Vistas Beachfront Suites. Furnished to a high standard, the 2-bedroom suites feature a fully equipped kitchen, TV and private balcony. The beachfront location is ideal for those interested in scuba diving, parasailing or simply relaxing on the beautiful white sands. There are plenty of excellent restaurants and shops nearby. St. Pete's has excellent reviews on TripAdvisor, but if it doesn’t appeal, let us know your preferences. We can put together any January 2021 Florida holiday. This January 2021 Orlando holiday includes a fully-insured 7-seat minivan for the two weeks. Pick-up and drop-off the car at the airport. It’s not too early to start planning your January 2021 Florida holiday. Book in advance now with a deposit of £100 per person. Early bookers get the best choice of accommodation and are first in the queue when cheap flights are released. For more information, call us on 01934 319 851 or complete our online enquiry form. 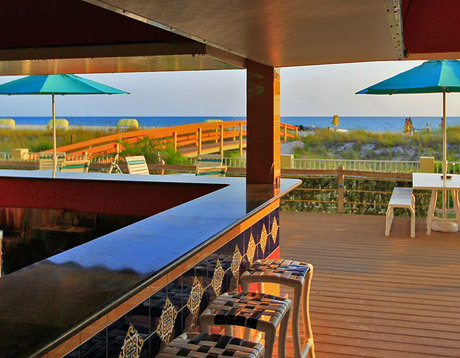 We can put together a Florida holiday package tailored to your requirements. We can even save you money on theme park tickets. All of our January 2021 Florida holidays are ATOL and ABTA protected. 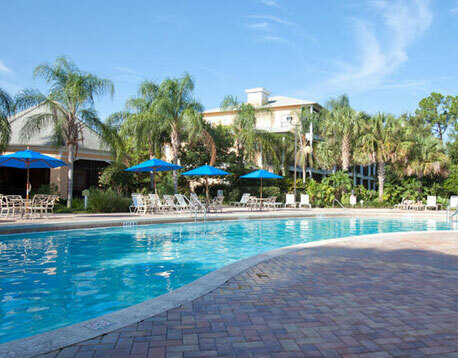 Not sure how to begin planning your Orlando holiday? Why not start at our January 2021 Florida flights page? We have advance fares for Virgin, BA, United and Norwegian. Read useful travel information including how to save money on your January 2021 Orlando flights.